Our product range includes a wide range of block making machine, brick making machine 1060 g hydraulic, hydraulic concrete block making machine 860g and cement block making machine. 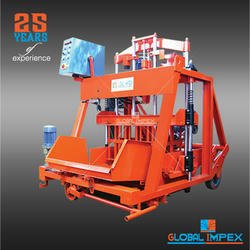 This is an egg laying hydraulic concrete block making machine on wheels. It will lay blocks on a concrete floor and move to the next position. This process eliminates the need for wood or steel pallets. The mould and ram are moved by hydraulic cylinders, which creates a much stronger block and the block maker can use less cement. Any type of blocks can be produced with consistent quality by affixing the desired mould. Several standard moulds are readily available. Custom moulds can be produced. This machine applies pressure of 2000 psi. 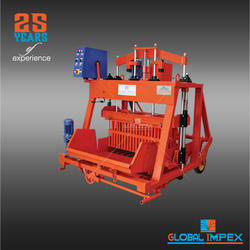 This machine can be used to produce hollow block, solid blocks and bricks galore and interlocking pavers. 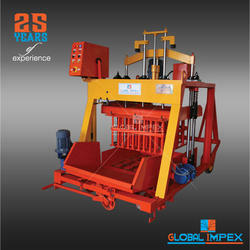 Looking for Hydraulic Concrete Block Making Machine 860 G ?